The first day of the Celebration Chicago livestream has come to an end. And what a day it was. Guests aplenty, some great reveals, and an absolutely wild crowd that’s relishing every moment. I certainly enjoyed this first day, with the livestream providing good entertainment throughout. The Episode IX panel proved to answer a few much needed questions, but gave many more. Starting us off were JJ Abrams and Kathleen Kennedy with some hints about the film and providing a few laughs at question dodging. Then came Anthony Daniels. I knew this man would provide great amounts of entertainment whenever he got on stage, and he proved that here. Then we got confirmation that Lando Calrissian is in the movie as Billy Dee Williams is called on stage. Lando never left him, and everyone was awed to have him on set. And he is sick and tired of getting accused of betraying Han Solo! Did anyone die during the Bespin incursion? I think not! The others of the main cast are called out and questioned. There was Daisy Ridley, John Boyega, Oscar Isaccs, Kelly Marie Tran, Joonas Suotamo [Chewie’s new suit actor], and new player Naomi Ackie, who plays a character named Jannah. The crowd sang a Happy Birthday to Daisy which was nice to see, and Kelly got a huge cheer from the fans. BB-8 also gets a new friend in D0 – a coned head on a wheel. Then the trailer was shown at the end, and the chills. What looks very similar to Tatooine. The Death Star’s broken exterior on a planet. Space fights, ground battles, and a cackling laugh. Then the name reveal – The Rise of Skywalker. Then the lights come back on and there stands Ian McDiarmid – the incarnation of the Emperor himself. “Roll it. Again,” he calls, and so the trailer rolls again. With Luke’s voiceover talking about Rey, and the Emperor’s laugh, I find it very likely that we might have Hayden Christensen becoming Anakin in voice as a guide for Kylo. There’s certainly going to be a very valid reason behind that name, and there’s certainly going to be another trailer within a few months. The Rise of Skywalker releases 19[UK]-20[US]/December. My birthday is sorted for this year. And I am very happy about that. Having first seen the fortress of Vader on Mustafar in Rogue One, ILMxLab wanted to explore the planet in Vader Immortal. They wanted to give a real in-depth look at not only the fortress itself, but Mustafar’s history and geology. Explore the planet as a whole and the people who inhabit it. The culture of the Mustafarians and their unique part of the galaxy far, far away. A lot has been done to make people really feel like they are within this world by pushing the visuals and audio to make that first experience of seeing Vader coming at you for the first time as scary and imposing as it could. By placing you within the world, they wanted it to be as authentic as possible and strived to make it happen, making advancements in VR tech much the same as Star Wars has pushed the envelope of every other technology it has used. And since it is VR and putting people in the world, what’s the first thing that people want to be doing? 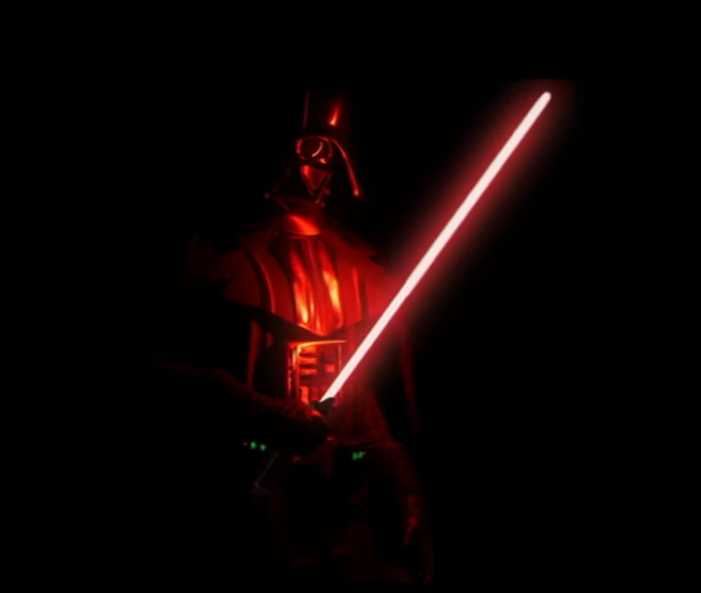 Wielding a lightsaber, and so that’s what the first episode of Vader Immortal allows. The second will then start developing the Force powers at your disposal. The story you get placed within is certainly looking a fun experience, and it will be coming soon. The 20 Years of LEGO Star Wars panel started with a reel of everything LEGO Star Wars – animated and toy alike. Then a load of guests came on stage that had something to do with LEGO Star Wars development, jumping in with their first LEGO memories and their first Star Wars memories, then leading into their first projects on LEGO Star Wars. After a talk of favourite project – in which the Death Star and Millennium Falcon UCS sets are brought up and the Resistance Rises shorts being written with no information to work with – the talk turns to the humour and stories of the series in the games and animated works. 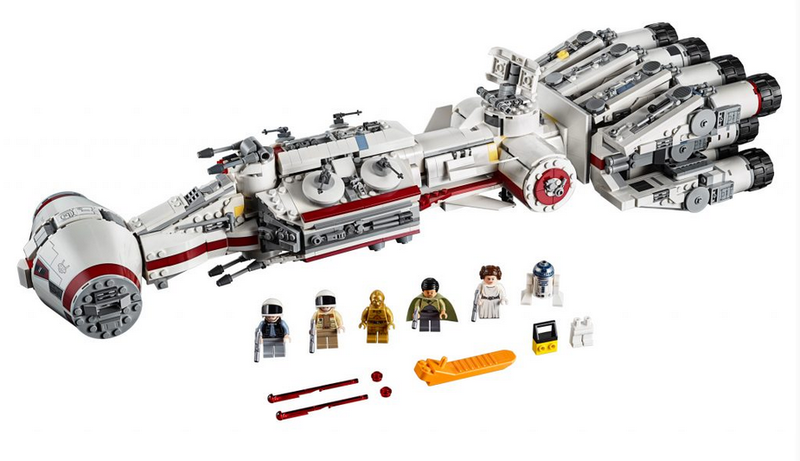 The TIE Crawler was the first set outside of the films, which brought about the expanded world of LEGO Star Wars and all the new stuff that came from that. Yoda Chronicles and Freemaker Adventures are brought up and the LEGO canon. The start of the video games are brought up and how there was a market for movie tie-in games that wasn’t fully being utilised. Thoughts of things that could be made are brought up, with a wearable Boba Fett helmet being mentioned and an UCS AT-AT Walker, which leads into the talk of the future. Fans will get the chance to narrate what their LEGO Star Wars battle story would be, and the top twenty will be animated. One is shown to give inspiration, so people at the event get to the LEGO Booth and tell those stories! A new Tantive IV set is to be released on 4/May, with new minifigures including Bail Organa and Princess Leia with her white gown. This would have been the perfect opportunity to announce a new video game, but that unfortunately wasn’t to be. The Star Wars Show stage had a conversation with Alan Tudyk before Warwick Davis got the chance, talking a bit of behind-the-scenes trivia, as well as wanting to get back to it for the new Cassian series being made for Disney+. They also touched on the personalities of droids within the universe. 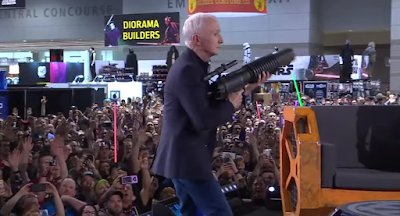 The friendly rivalry between Anthony Daniels and Alan is brought up and a memory from the previous Celebration and some others from the film production and premiere. Kathleen Kennedy and Daisy Ridley join the stage to talk emotions of finishing the trilogy, with John Boyega joining to talk later about his character and the experiences of Celebration. Kelly Marie Tran and JJ Abrams also talk about the showing of The Rise of Skywalker and making Star Wars. Oscar Isaccs and Naomi Ackie talk about being included within the Star Wars universe and what it means to them. The cannon that was made canon during the last Celebration allows guests on the stage to fire T-Shirts into the crowd, and they go wild for it. 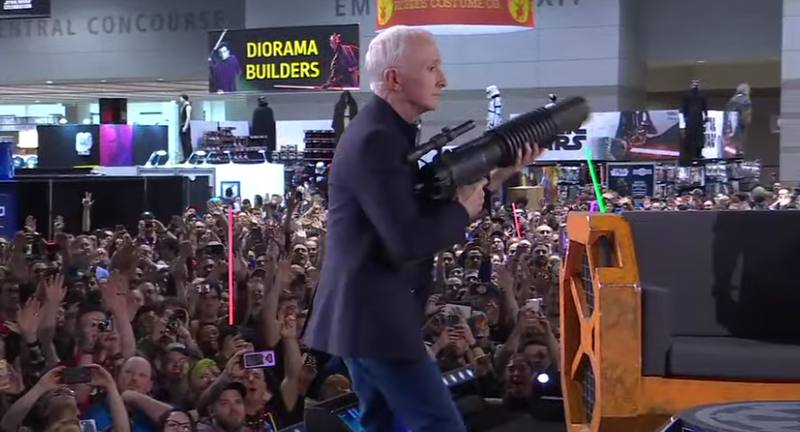 Again, Anthony Daniels brings his entertaining charm to the livestream, this time on the Star Wars Show stage. He talks with his usual charm and personality, swapping seamlessly between topics and upstaging the host. He also gives a bit more info on his new book that’s coming soon. The host of course manages to get his own back for the upstaging by asking how the publisher got him to stop at 75,000 words. There was also looking ahead to what would be coming up, with some of the Imagineers of the Disney Parks having a talk about Galaxy’s Edge, a member of the Respawn team giving some hints about Jedi: Fallen Order, and Warwick Davis comes on to talk of the panels he’ll be hosting at the Celebration Stage. He also had fun reeling off the characters he’s played and comparing the Celebration’s of recent times to what they used to be. There’s been a lot within this first day, but Celebration is just getting started. There’s plenty more in terms of entertainment to come, and plenty more reveals to show.